Volunteers strengthen our community and enrich our work. Our work depends on the support of the community. Help us connect with our community and raise awareness by being a Community Ambassador. Meet new people and introduce them to Communitas by volunteering at events and fundraisers alongside our staff. Opportunities are flexible to meet your availability and commitment. Start a friendship with the people we serve by becoming a Volunteer Companion. 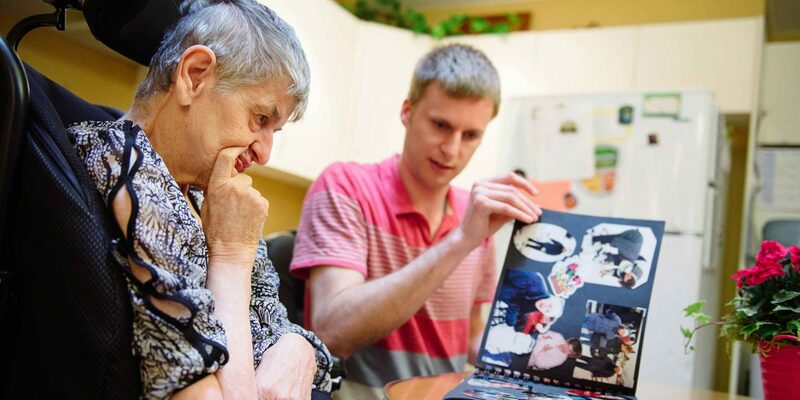 Get connected with one of our programs and participate in activities together. By spending time, you’ll help provide a full life for the people we serve while gaining new friends. In order to provide the best care to the people we support, this opportunity requires a longer term commitment and an application process. Help our admin team in the office, give of your expertise, host an event, paint a fence or something else! We all benefit by sharing our gifts, and we want to hear what you have in mind. Send us your idea for how you can contribute. Complete school credit and add to the lives of our staff and the people we support. Communitas can facilitate a placement to meet your passions and studies. Share the requirements of your program with us and we can explore options together. Tell us how you’re interested in volunteering and we’ll get started finding the right place for you to join in. Spread the word about our work at community events. Build friendships with the people we support. Your own skill or idea you want to share. Credit for school or technical program.